Workbenches are awesome. In addition to providing a solid, flat work surface at a comfortable height, they can also become more versatile when you add bench dogs, planing stops and hold downs. And, many of those devices require a hole to be drilled or chiseled into the workbench side or apron to make those happen. 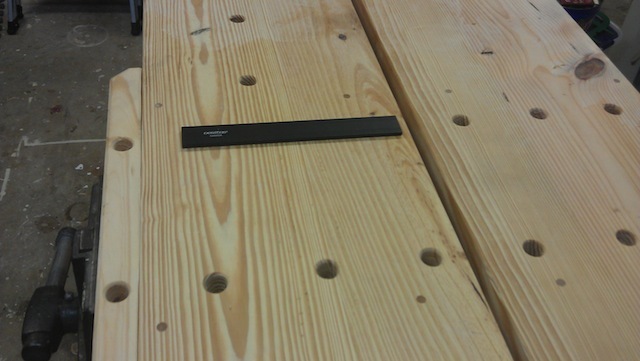 So, today’s question… How many dog holes do you have in your workbench? None? A ton? How many dog holes do you have in the top of your workbench? Wood is beautiful. That’s why we work with it. But, there are those times when we want to make our projects even more beautiful. We can do that with design, blending species – or by doing an inlay. Inlays can be very simple or uber complicated, with multiple species intertwined in decorative designs. 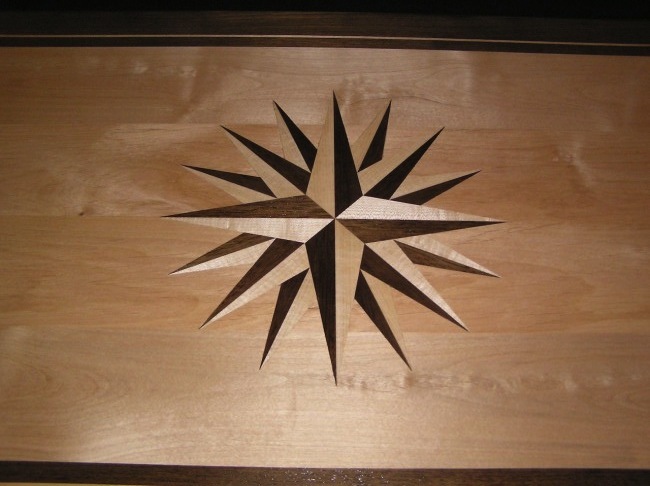 Today, let us know if you have ever done an inlay on your projects, and what you thought about the process. Have you ever tried making an inlay? Woodworkers can find lots of knowledge about the craft by reading books, watching videos and browsing woodworking magazines. Later on, I noticed that woodworkers started asking me for advice. Very strange. This week, tell us if you have ever had the occasion to give woodworking advice… and if you took the opportunity. Have you ever given anyone woodworking advice? Shop maintenance is one of those things you gotta do. The saws need to be aligned, the tools organized and the sawdust swept up. And, you know that the tools need to be sharpened. Sharpening is a task that some people relish. 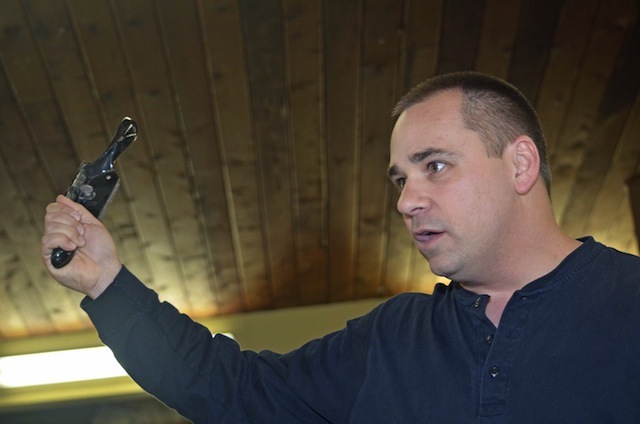 They pull their tools off the sharpening medium and look at their handiwork with glee. They even demonstrate just how sharp their edges are by shaving the hair off their arms, legs or other body parts. Others know it has to be done, but they dread the work. I mean, it time spend grinding steel off the edges of tools, not working with wood. Isn’t working with wood why we got into this craft? Today, tell us how you feel about sharpening. Are you all jazzed about doing it, hate it, or feel indifferent about the whole process? 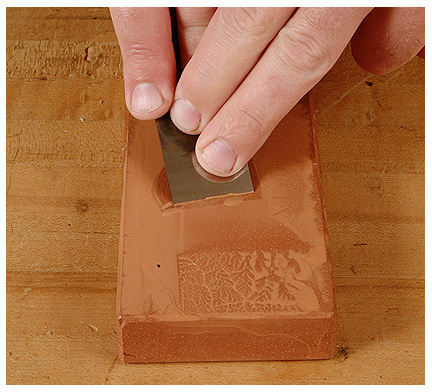 How do you feel about sharpening your tools? There’s nothing like the smell of a brand new tool. The excitement when you crack open that box … it’s just magic. And, with many tools, you have to remove a mountain of papers. Of course there is the owner’s manual. Maybe some advertisements for some other tools the company makes. And, in many cases, a warranty registration card. While many people fill them out and return them, others just chuck them into the trash, never to be seen again. Not everyone likes paperwork, but returning those cards can save a lot of time – and cash – if the tool malfunctions during the warranty period. For today’s poll (feel free to thank David Picciuto for the idea. Thanks, dude!) what do you do with your warranty cards? 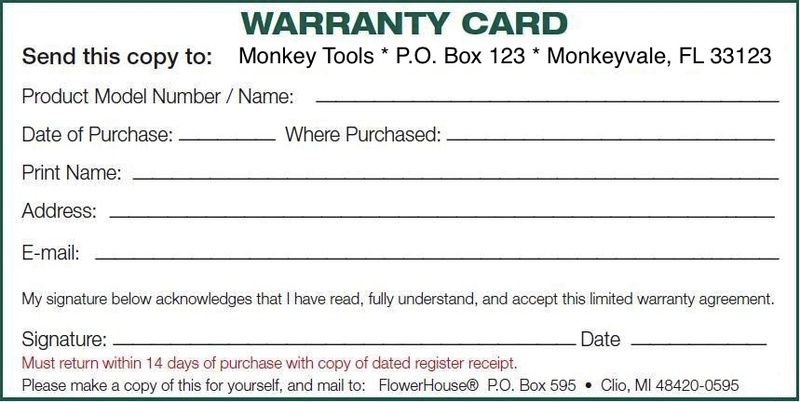 Do you return tool warranty cards? Man, talk about a loaded word. Some folks cringe at the very thought of having someone weigh in on anything they do, while others may be more open-minded to the possibilities that an honest evaluation can bring. And, when it comes to woodworking, we often find ourselves to be our own worst critics, pointing out every single mess up – no matter how small or inconsequential. This week, tell us what you think about criticism, and can you handle it with your woodworking? 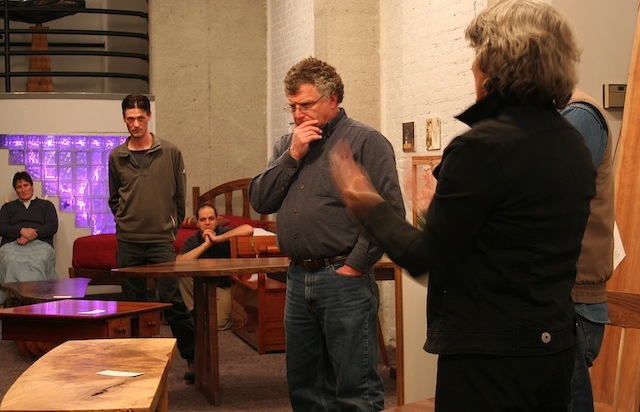 Do you like having your work critiqued? Happy New Year! Ok, it’s a few days past New Year’s Day, but still, we are in the first week of the year. It’s that time of the year when people make resolutions. To see more of the world. To push for that promotion at work. To shed those excess pounds. As a woodworker. there are lots of things we can resolve to do. Built that project you have been putting off. Learn a new skill. Try working with a new wood. 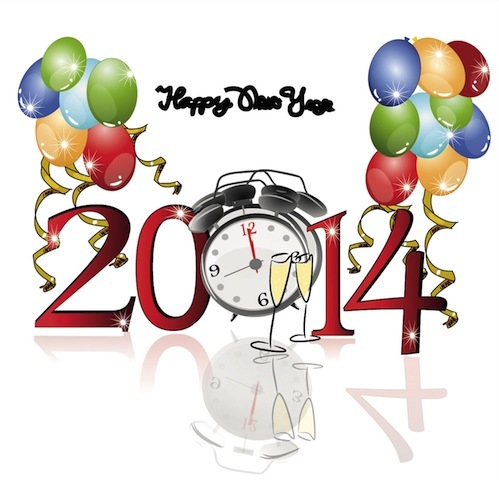 This week, tell us if you have made any New Years resolutions when it comes to woodworking, or do you pass on that? Have you made any New Years resolutions about woodworking?